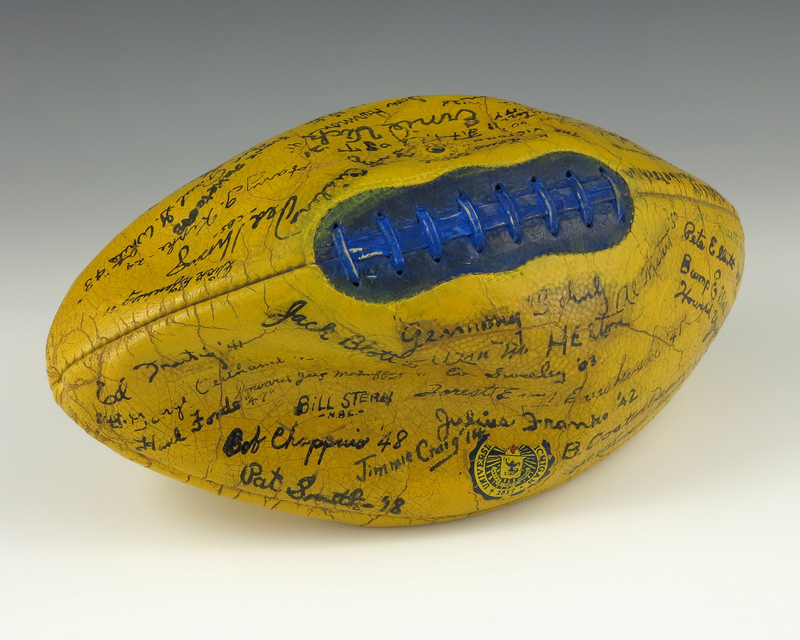 An old regulation football inscribed with autographs of some of University of Michigan's famous football players, dating from 1903 including Fielding Yost and 1940 Heisman Trophy winner Tom Harmon. It is also signed by sportscasters Bill Stern and Ted Husing. It is Painted with the University of Michigan colors of blue and maize.